This US Military C-17 Cargo Aircraft Airdropping Humvees Proves ‘Merica Rocks, Yeah Buddy! Thank you Lord for bringing us AiirSource Military and its cool U.S. Military videos! This video is one more amazing video of the US Military in action. Showing a United States Air Force C-17 Globemaster III cargo and transport aircraft airdropping eight Humvee military convoy vehicles over a drop zone in Fort Bragg in North Carolina will help you rekindle your love for the United States of America! 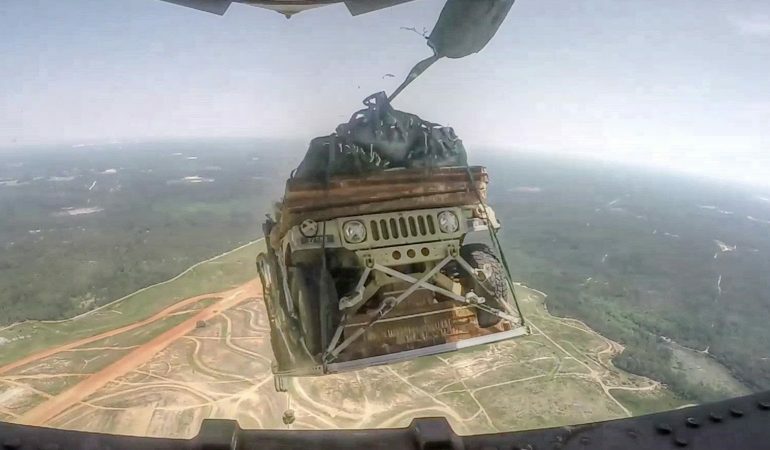 It is amazing at how polished this military vehicle airdrop procedure is, don’t you think?